Recently, I was asked to join ten other artists in a new venture in the Asheville RAD! 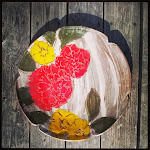 Founded by Joey Sheehan of Melting Mountain Pottery, I am honored to be a part of an amazing group of potters! Please join us for the official grand opening of our new cooperative gallery in the Phil Mechanic Studios. 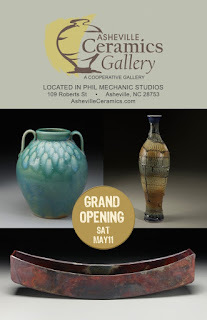 Asheville Ceramics Gallery is a new cooperative gallery that I have founded in the Phil Mechanic studios building. We are a group of local artists who have come together to collectively display and sell our work in a clean and comfortable setting easily accessed by the general art seeking public. We hope to provide access to our best work and continue to educate with ongoing in shop demonstrations and discussion. 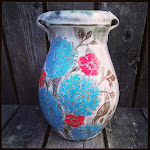 The gallery is always manned by one of our own artists with a solid background in the clay process. 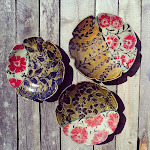 Please come by any time Tuesday through Sunday form 10-6 to see whats new at the Asheville Ceramics Gallery.